Unlimited Marine was Rudy Ramos' first dealer in 1958. They purchased blank hulls only and completed them to order for their customers in Northern California. John Sofilos, owner of Unlimited Marine was building about 5 supercharged Hemi's annually until the 427 Ford program became available. John says "We probably sold more custom built Raysons than any other dealer. I hired Joe Tiesler to work for me around 1964. He was the best rigger, tool and dye machinist in the business then and no one ever was any greater. He did the Allison Marathon 20', Allison AC V12 Rayson "Phitttt" Hull #1, Mine was #2 with the 1100 CI tank engine. Later Rudy and I converted the big engines (due to restrictions) with twin 427 Ford side oilers MR coupled together. AJ Foyt was #3 hull. Problem was the Casale V-drives burned up." John has 5 old Raysons that he wants to sell soon, as well as the molds for the 18LP 1966 to date. 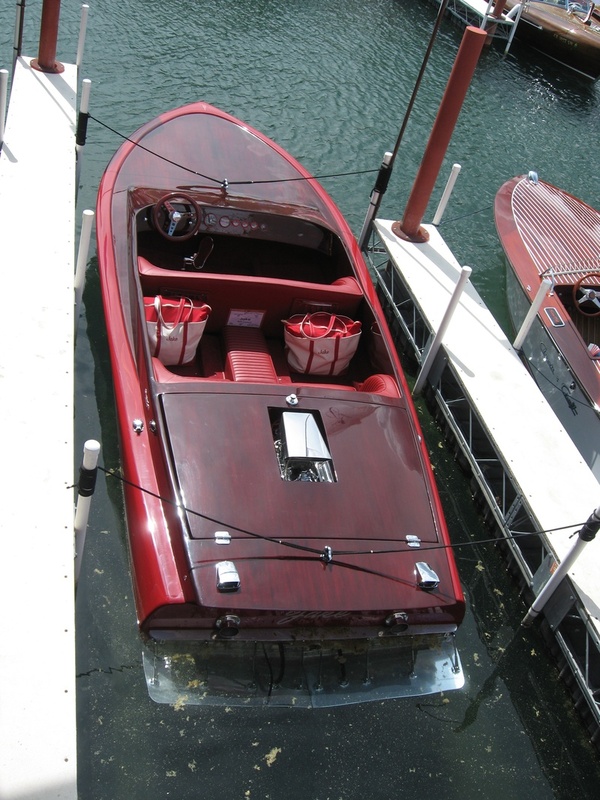 John Sofilos built this Rayson Craft for the Tahoe based owner in 1969. It won 10 years straight special race events in the Tahoe Yacht Club. Original set had Keith Black built 482 CI, 6 Weber carburetor engine. After the boat was retired it was sold and John restored the complete installation with 502 BBC in 2009. It is the same hull as Rudy's 20' Allison and John's 20' 1100 CI tank engine hull.